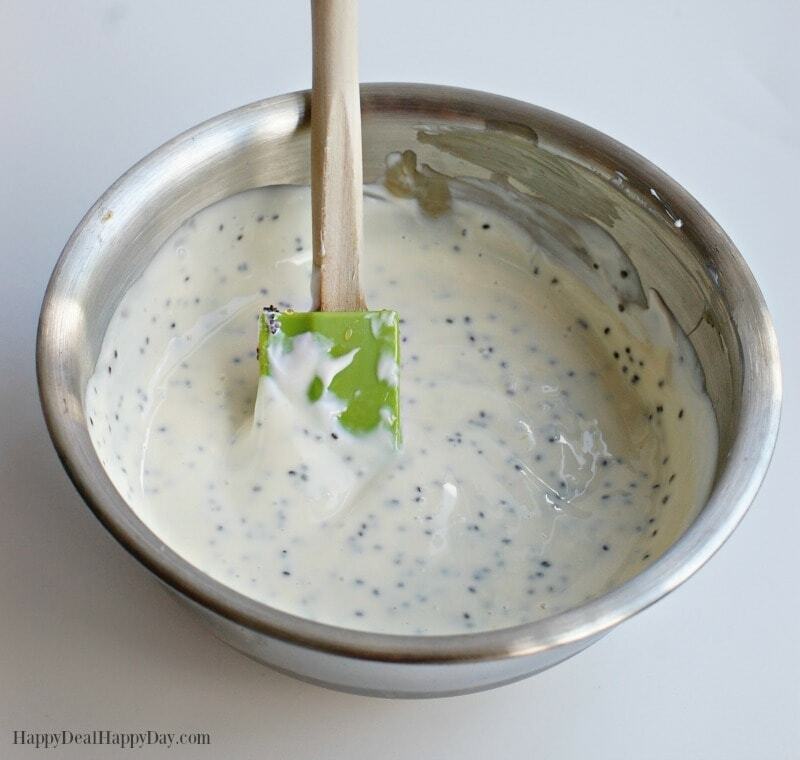 Creamy Chia Seed Fruit Salad Dressing Recipe | Happy Deal - Happy Day! 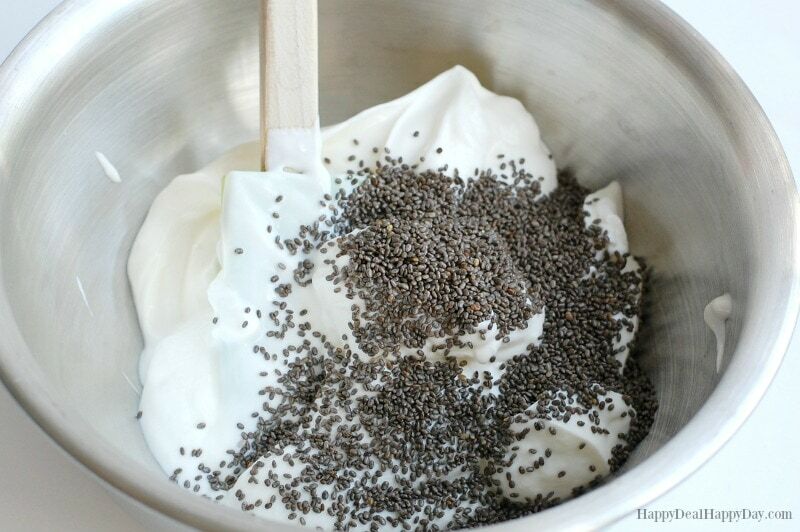 I personally prefer to use light sour cream for this recipe, although regular sour cream will work just as well. 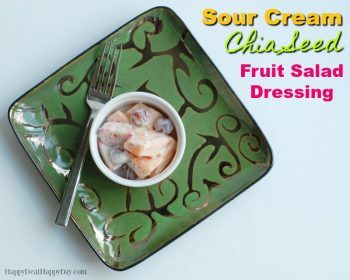 To make this fruit salad dressing, start by adding all 8 oz of light sour cream to a large mixing bowl. 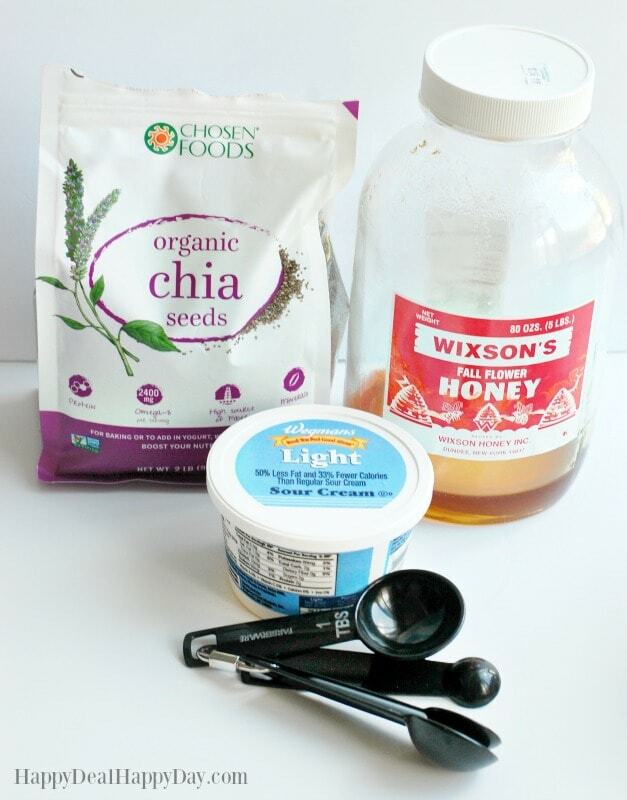 Add one tablespoon of chia seeds. Then add 3 tablespoons of honey. You can add a bit more honey if you like your dressing sweeter – give it a taste and add as much honey as your palate desires. I personally think 3 tablespoons is just perfect. 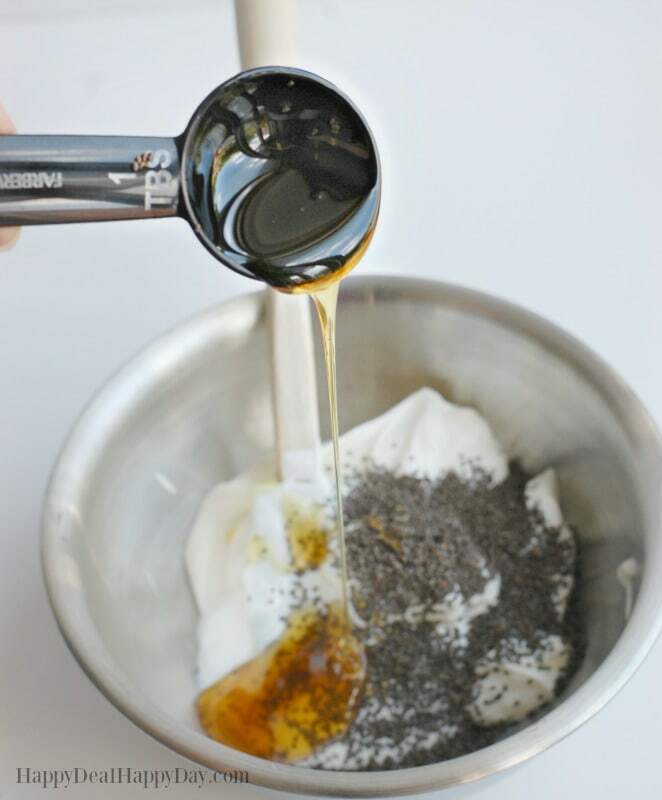 Stir these three ingredients until it is smooth. 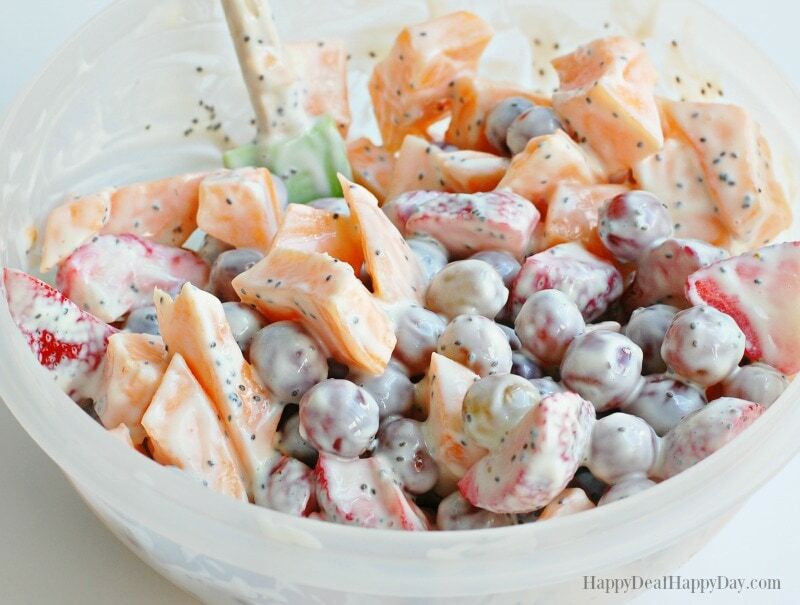 Pour the dressing over your fruit and gently mix until the fruit is covered. 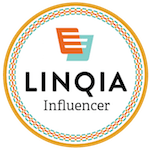 That’s it – it’s done! How easy!!! Serve it cold. 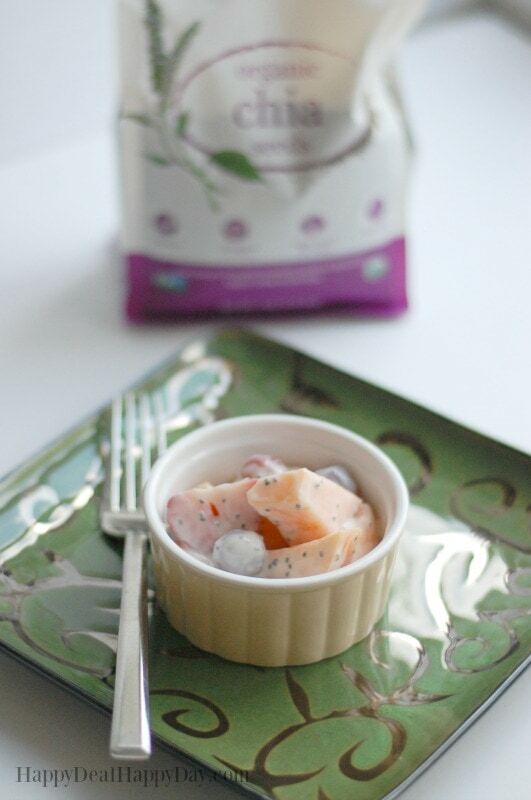 This makes a wonderful side dish for any summer lunch or light dessert! 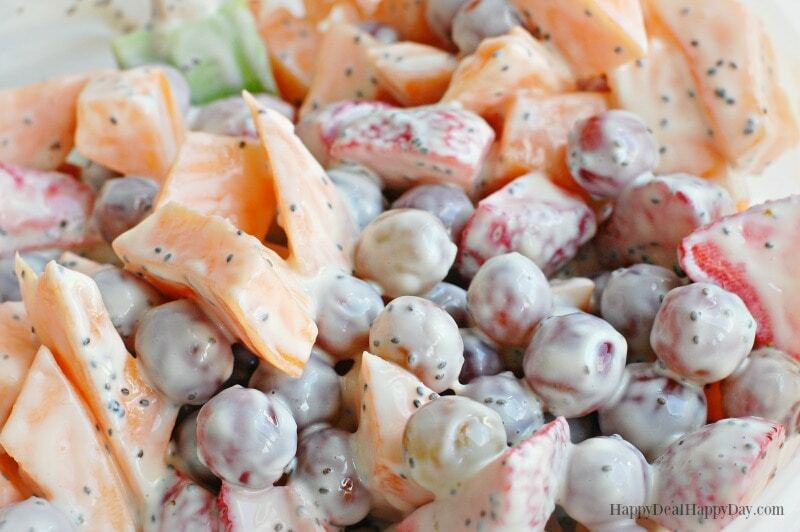 My husband describes this as liquid cheesecake on top of the fruit. 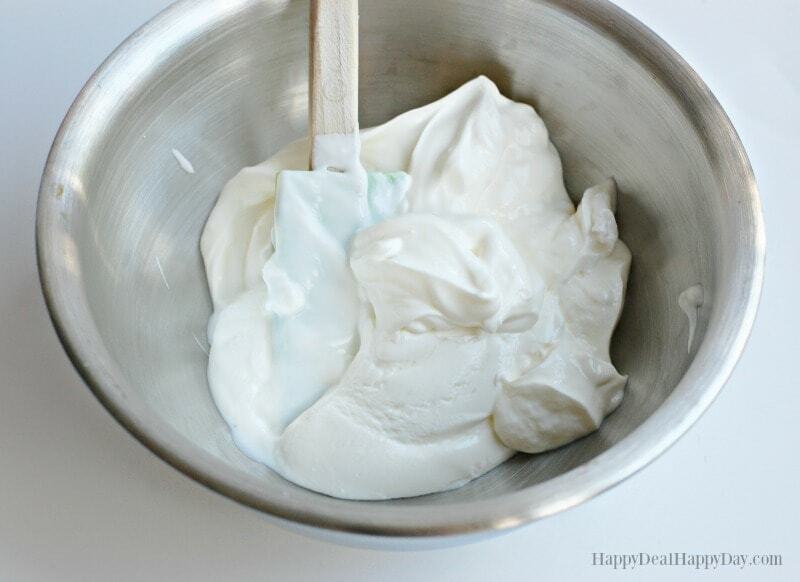 It truly is divine and oh-so-easy to make!!! Then add 3 tablespoons of honey. 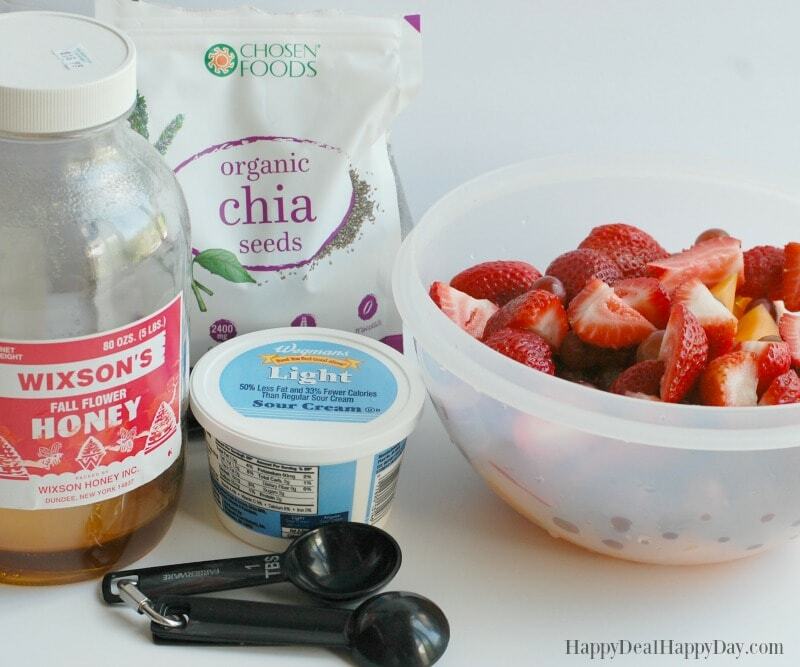 You can add a bit more honey if you like your dressing sweeter - give it a taste and add as much honey as your palate desires.